Extremely high temperatures over time lead to grain growth in type K thermocouples, which can cause metal separation and thermocouple failure. Fortunately, good solutions exist for minimizing the effect of grain growth. Grain growth is a common cause of failure in type K thermocouples. In applications such as tubeskin temperature measurement in fired process furnaces, the temperature measurement device is exposed to process gas and radiant energy, creating temperatures that are much higher than the tubeskin temperature measuring junction. Elevated temperature over time is the overriding factor in grain growth that ultimately damages the thermocouple. Grain growth is a condition where a material’s crystallites, or grains, become larger. In thermocouples, it is a failure mode that has to do with a metal’s grain structure, different coefficients of expansion, and an application’s high temperatures – above 1,200°F (649°C) for type K.
A sheathed thermocouple contains three different types of metals: one in the positive conductor, another in the negative conductor, and a third type in the sheath. The sheath is usually made of stainless steel or another alloy, while each type of thermocouplehas a specific pairing of metal conductors. Type K, the most commonly used thermocouple, has a NiCr (Chromel®) positive leg and a NiAl (Alumel®) negative leg. Each metal has a different coefficient of expansion – stainless steel has the largest, and the negative leg has the smallest. As a result, every time a type K thermocouple is exposed to high temperatures, the negative conductor leg undergoes stress. The crystal structure of NiAl goes from having many small grains (worked or manufactured state) to a few large grains (relaxed state). 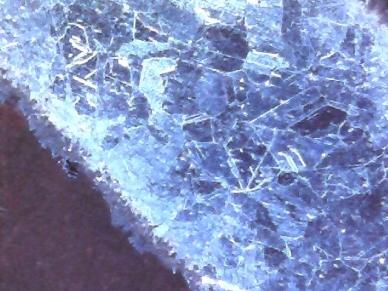 The large crystal structure has less mechanical “roughness” and fewer “ledges,” causing the negative conductor to actually separate when stressed by the differential expansion. Small conductors are also more susceptible to grain growth than large ones. There are three main ways to reduce grain growth in type K thermocouples. Sheath materials: One way is to choose a sheath material with a coefficient that closely matches those of the conductors. Conventional sheaths are often made of 310 stainless steel. The large difference between the sheath’s and Alumel’s coefficients of expansion led to the high rates of thermocouple failure in the test mentioned above. If conductor and sheath expansion coefficients are the same, grain growth is dramatically reduced or even completely eliminated. I600 was the material of choice for reducing grain growth for many years, until new materials came along. Pyrosil®D or Incotherm® Alloy TD – these are the same product but made by different manufacturers – confer even better protection against grain growth. This alloy is formulated to contain fewer contaminants than stainless steel and has a coefficient of expansion that almost exactly matches type N thermocouple’s conductor expansion. 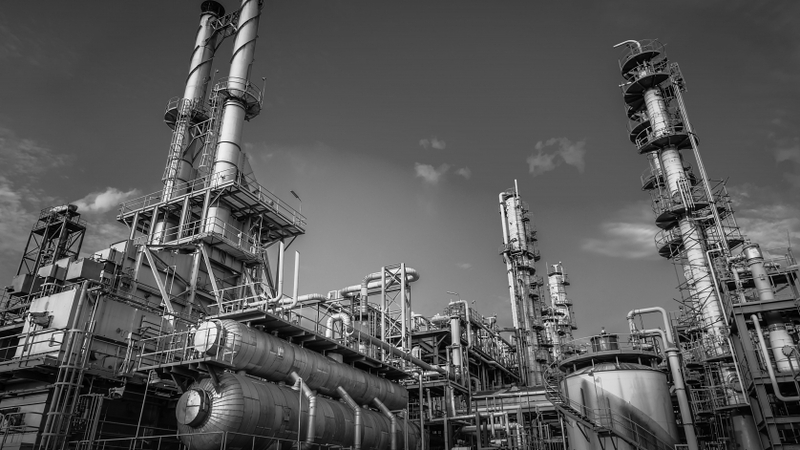 In fact, for high-temperature furnace applications, it has become standard practice for major refinery companies to use thermocouples sheathed in Pyrosil/Alloy TD. Engineered cables: Because smaller conductors are more susceptible to grain growth than larger ones, “engineered cables” can combat this condition. WIKA uses non-standard MI (mineral-insulated) cables designed to our specifications. The negative leg is made to be larger, which gives it greater resistance to grain-growth separation. Thermocouple placement: For fired process furnaces, keeping the thermocouple sheath in contact with the furnace tubes and using the tubes as heat sinks are two ways to keep the thermocouple at a much lower temperature than that of the surrounding gas, thereby extending thermocouple lifetimes and decreasing failure rates. As long as type K thermocouples are repeatedly exposed to extremely high temperatures, grain growth is a possibility. But thanks to newer, better metallurgies and engineering, grain growth is no longer the major threat it used to be. 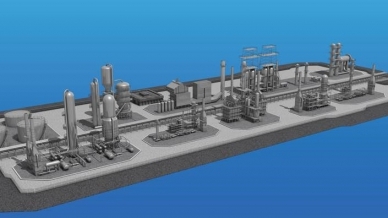 WIKA’s temperature measurement specialistsunderstand furnace tubeskin thermocouplesand the unique requirements of refineries. Contact them to learn about the best thermocouple types and assembliesfor your applications.